Ανακαινισμένο το 2015, το Hometown Hotel Bacolod εγγυάται στους πελάτες του μια ευχάριστη διαμονή είτε βρίσκονται στη Μπακολόντ για δουλειά ή διασκέδαση. Σε μια τοποθεσία μόλις 47.3 km από την συναρπαστική ζωή της πόλης, αυτό το 2 αστέρων ξενοδοχείο αποτελεί ένα εξαιρετικό μέρος και παρέχει εύκολη πρόσβαση στα μεγαλύτερα αξιοθέατα της πόλης. Με την βολική του τοποθεσία, το ξενοδοχείο προσφέρει εύκολη πρόσβαση στους προορισμούς της πόλης που πρέπει οπωσδήποτε να δείτε. Το Hometown Hotel Bacolod προσφέρει επίσης πολλές εγκαταστάσεις για να εμπλουτίσετε την διαμονή σας στη Μπακολόντ. Το ξενοδοχείο σας παρέχει δωρεάν WiFi σε όλα τα δωμάτια, 24ωρη φύλαξη, παντοπωλείο, κατάστημα δώρων/σουβενίρ, 24ωρη ρεσεψιόν. για να εξασφαλίσει ότι οι πελάτες μας θα απολαύσουν την μεγαλύτερη δυνατή άνεση. Το ξενοδοχείο διαθέτει 10 όμορφα διακοσμημένα δωμάτια, πολλά από τα οποία περιλαμβάνουν επίπεδη τηλεόραση, επιπλέον μπάνιο, επιπλέον τουαλέτα, λευκά είδη, καθρέφτης. Εξάλλου, το ξενοδοχείο διοργανώνει πολλά ψυχαγωγικά δρώμενα έτσι ώστε να έχετε πολλά πράγματα να κάνετε κατά τη διαμονή σας. Ανακαλύψτε ένα ευχάριστο μείγμα επαγγελματικών υπηρεσιών και μια μεγάλη ποικιλία ιδιαίτερων χαρακτηριστικών στο Hometown Hotel Bacolod. comfortable stay. room's a bit cramped, wifi was not reliable (mobile data's more faster). but worth for a budget hotel. The room was OK not fantastic. But the room assigned was on the ground floor next to the eatery kitchen. And thus the fume or smell from the cooking sip into the room thru the air conditioning. Also because the room was just next to the car park, the noise from car or motorcycle parking roused me from my sleep. Requested for a change of room citing the reasons and they arrange for a much quieter room. But it was near their reception and the staff talk quite loud early morning while I was still in bed. Hometown is conveniently located a few steps away from a 24hr cafe, restaurants, a spa and public transportation. Across the street there is a 24hr convenience store and walking north for a few minutes will take you to the mall. Public transportation are taxis and jeepneys or you can opt for a grab car booking with pick up point directly at the hotel entrance. If you have private transportation, the hotel also allows parking in front or at the back. The hotel appears to be under renovation. The room is small but clean. Bathroom needs some work done but otherwise ok. Staff are friendly and approachable. Overall, I had a pleasant stay at Hometown Bacolod. Stood out is the room nice clean and good. 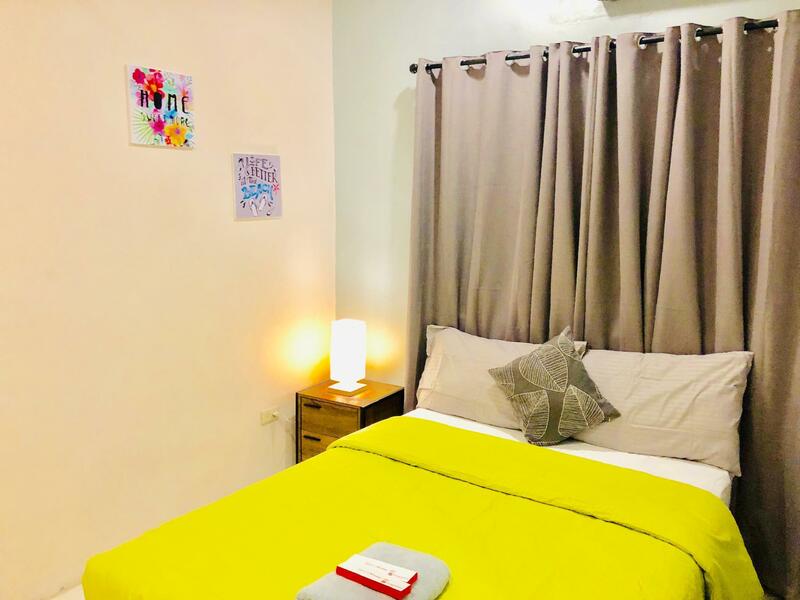 Im satisfied, soft bed and pillow, cute room, clean cr, clean sheets and pillow, location is very good 20 steps to main road where you can ride public transpo, wazeable and can be located by grab. Ill be back! Unfortunately, there is now a music venue right behind the hotel, so at weekends, at least, the level of noise is really unacceptable. This is a real shame, and it seems incredible that the owner of the music venue was granted a licence in the back yard of the hotel. But the staff very kindly offered me a free transfer to their sister hotel nearby, where I have stayed before, and like a lot. After that, everything was fine. Building --isnt fancy on the outside, simple yet comfy and homey inside amenities --pantry and common areas are all clean and well maintained. 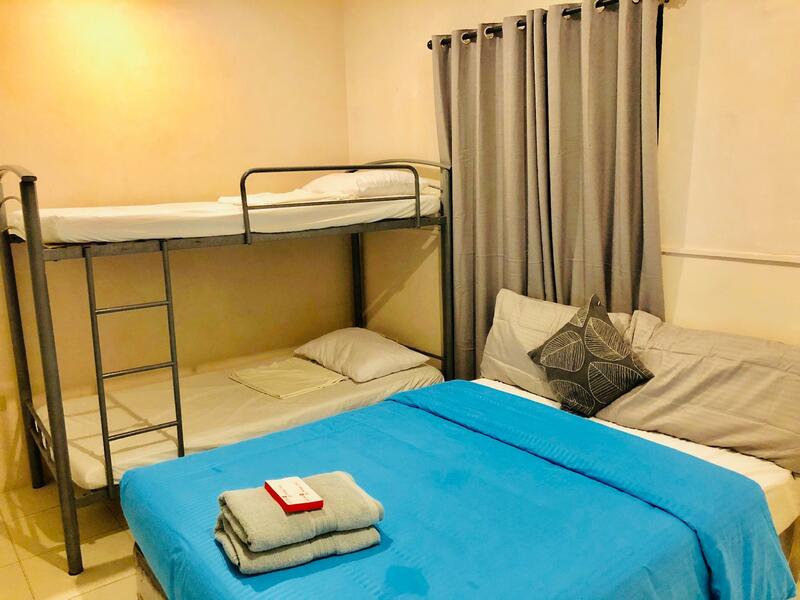 Staffs -- all very helpful , friendly and approachable Location -- in the middle of the city, accessible Bed-- had a good sleep Bathroom- isnt perfect but decent. Toiletries -- never expected it for the price I paid, but they have it You will not feel like you paid for that discounted amount. 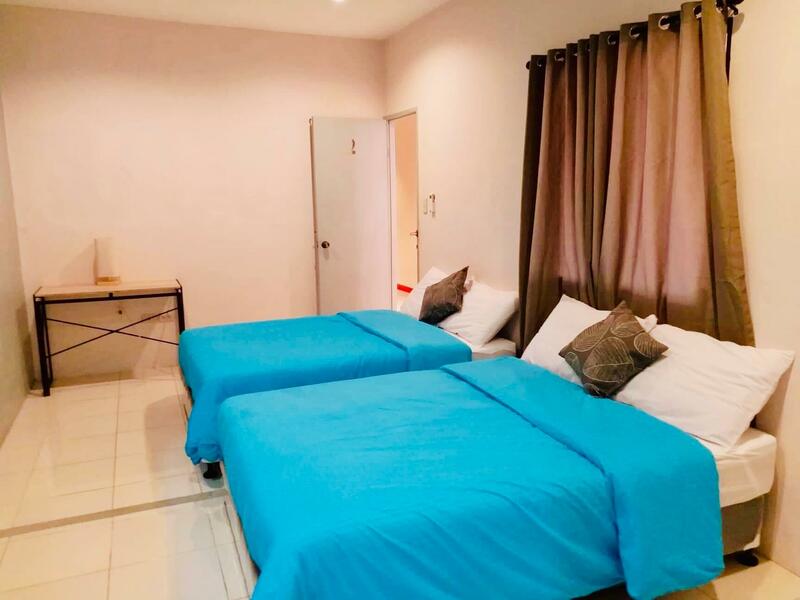 The room was very comfy, AC is working well, water heater-works great, the water supply is ok, they even have small veranda that can overlook the backdoor parking area. Made me feel like I stayed in a 3-4 Star hotel. Keep up the good work! and see you soon! The location was very good just along Lacson St, very easy to locate. The staff were friendly. The room was clean although it was a bit narrower than I expected, but it was worth the price. Only that I wasn't provided with the remote for the AC and it grew very cold (bc my room was very small) during the night. Other than that, my stay was good. 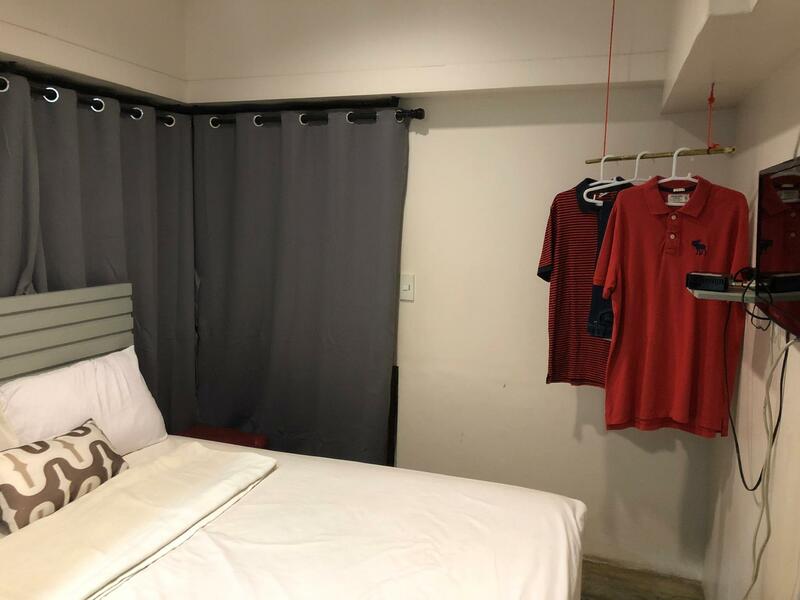 They also have a small sala and some kitchen stuff like microwave, oven toaster, hot/cold water dispenser, mugs, etc to use for free (but I wasn't aware of that before I got there so I didn't have a chance to use them during my stay. I recommend this place to others. Very accessible, cheap and the staff were nice. The rooms and the common area are clean. Very cozy place and since it's along Lacson St, the restaurants and tourist sites are accessible. The only con we experienced was, the gate/entrance is flooded when we arrived so hopefully they will improved on that. In behalf of management, we thank you for your feedback. It is our thrust to address your concerns as a budget hotel. We will meet with our team to make sure you may have a better and happier stay next time. Again, we consider your feedback as room for improvement for us. 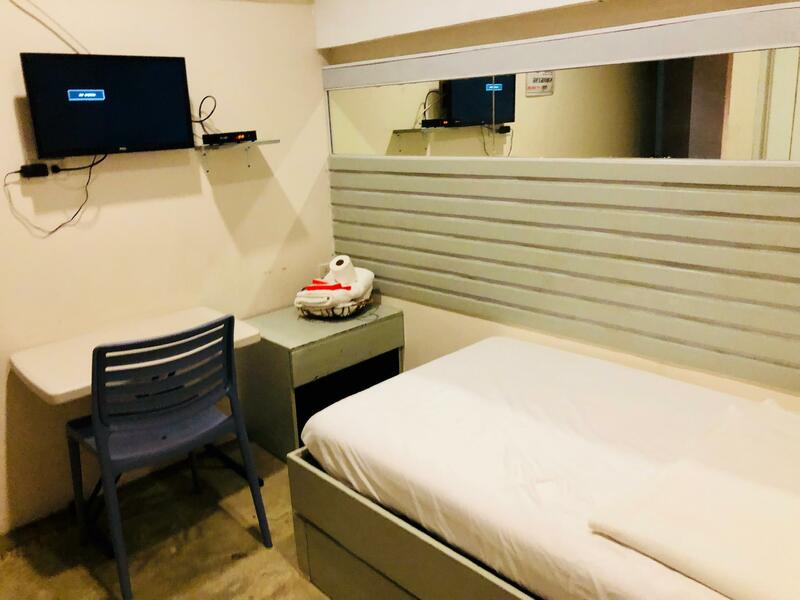 Perfect for budget traveller, the location is also accessible in all establishments, restaurants, madaling mahanap sabihin nyo lang ABS-CBN Bacolod katabi na yun. Malapit sa mga sikat na restos like Calea, Chicken House, Inasal Bacolod. Super lamig din ng aircon nila, may mga utensils pwede kayong magluto, mag-init ng pagkain, unlimited water dahil may water dispenser sila for all their guests. Super tahimik din ng hotel, very private yung lugar, respetado ang bawat isa, mabait pa yung mga staff. Super bilis pa ng free wifi astig! Kung pupunta ako ng Bacolod ulit, for sure dito ako ulit magchecheck-in. Thanks Hometown Hotel! Keep up the good work! God bless! Simple place to stay, no frills, but all worked like it should have. The room from this stay had no windows, which I consider a plus. That means no heat can get it and allows for day sleeping. Tom & Tom's Cafe is attached to the hotel, open 24 hours. That's nice, but it's not good for breakfast. For that, go to Bascon Cafe or Tita Beth's (sp?) both less than five minutes of walking. Only problem was the common area that has a TV and a poorly stocked kitchenette. With a little more attention and investment by the owners, the property could me a lot homier. For a start, just leaving the TV on at a low volume (doesn't use too much electricity) would be a start. I chose this place over the GO hotel at Robinson's after readin the reviews of both. 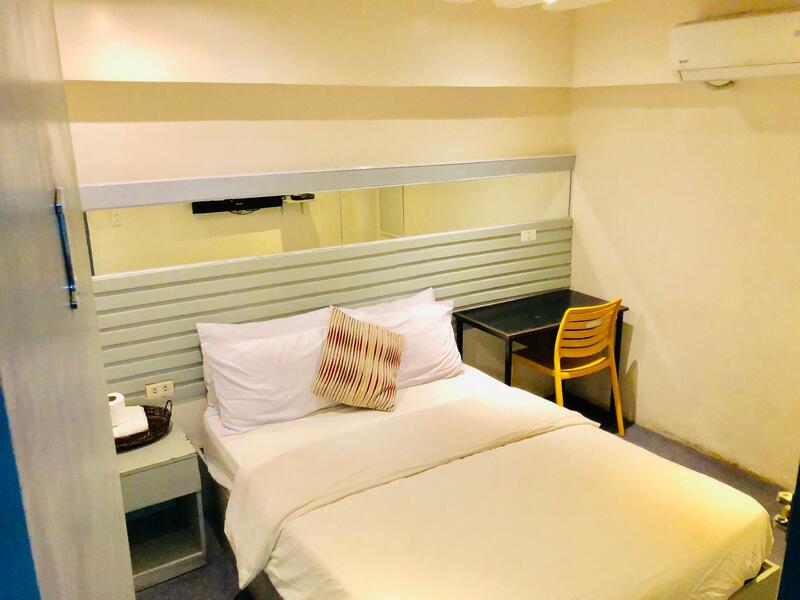 Pros: LOCATION - We were informed ahead of time that if we will stay in Bacolod, we must choose a hotel along Lacson St. and Hometown Hotel is definitely a perfect fit for this. You will not have a hard time finding the hotel as the nearest landmark is a big coffee shop and a broadcasting studio of one of the largest TV network in the country. If you're a fan of local transport, you just have to tell the jeepney drivers to drop you off at the station and hotel is only 10-15 steps away. FACILITIES & STAFF - are all okay. You can buy outside food and eat it at the hotel lounge/kitchenette on the 2nd floor. Staffs are friendly too. They taught us how to take the local transportation (jeep) instead of riding Grab/Taxi, which of course would cost you more. CONS: No breakfast included. I'm the type of person who would want to wake up early and not think of food to eat or where to eat at all, so hotels serving free breakfasts on their rates are a plus for me. 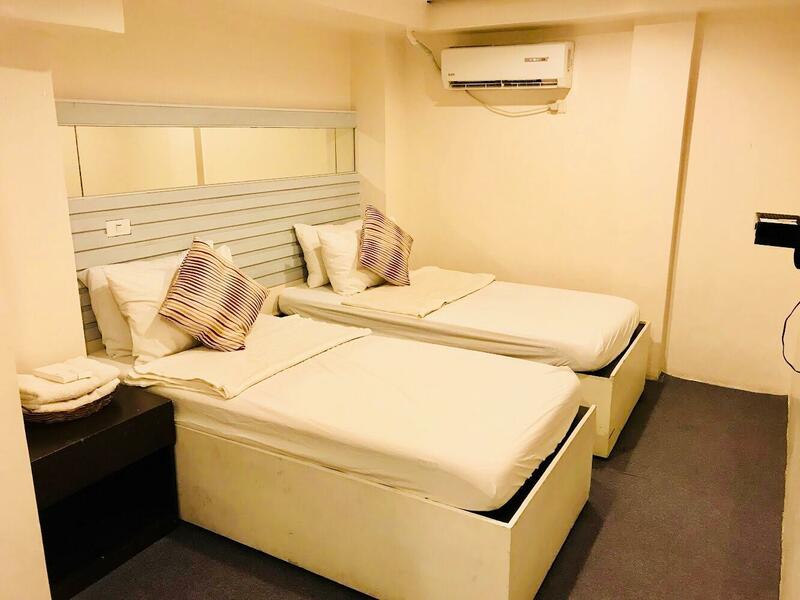 Booked a budget twin room but upon arrival the staff mentioned that they were overbooked and had to transfer me to a higher room rate, overbooking was not my fault but they still charged me for the upgraded room. Though, the room was clean and the place is very accessible. Pros: -Location -Cheaper option Cons: Ok funny but not really a funny story. I entered the hotel(? ), and there were a bunch of people at the front desk all taking at the same time, after someone finally noticed me, a guy asked if I have a booking and I said, yes. So after going through the check-in, another guy asked him what's going to be my room number. If I'm not mistaken, it was number one(? ), the room just right beside the front desk. So this guy immediately went to the room and closed the door. Then a woman with a baby went out of the room with him and went to the next room. Out of the very room that I was going to stay in! Right after they went out of the room, I was told that I can go in. I went in and the TV was on, tuned in cartoon channel. They didn't even bother to somehow fix the bed, or at least not to look wrinkled. I mean, I wouldn't mind this if I was staying in a homestay but, that was just so unprofessional it was almost funny. You get what you pay for. If you are just looking for a place to stay for the night, then this is the hotel for you. The front desk is really accommodating. 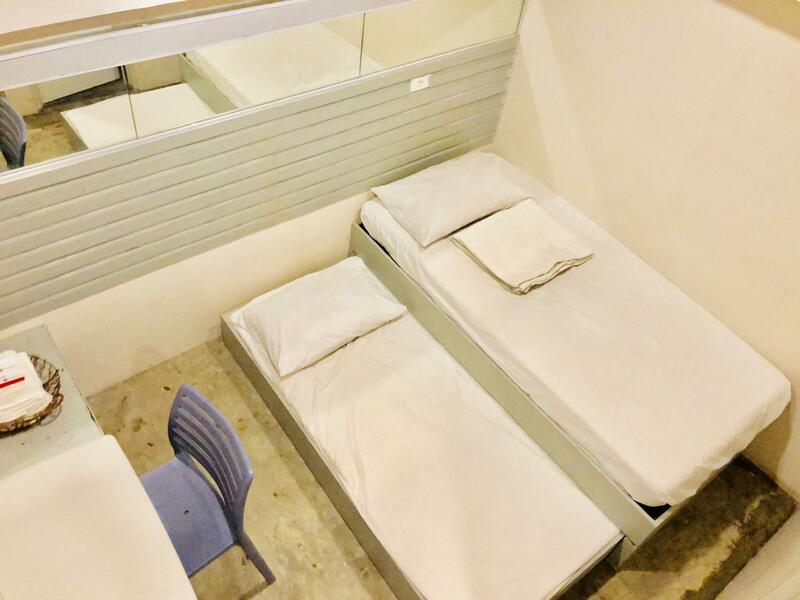 The location is perfect (just along Lacson St.) The studio room is quite small for 2 people. But my real problem is the restroom. The bathroom gives off an unpleasant odor, maybe due to urine that clings on tile floors and walls (or idk). Even after requesting the staff to clean the bathroom, the odor still persists. The tile floors even had white stains maybe due to water hardness and soap residue. Their restrooms need major clean up. The walls are just made of plywood and you can hear the bumps and noise from the other room. Outside the room is a common area where people would gather to eat and would talk loud. You can hear people talking and walking about outside the door. No windows, poor ventilation. Bathroom smelled like vomit and had molds. Bed had traces of chewed wood from termites. First time to try this hotel. It's an cheap place, yes, but you get cheap accommodation.